Selling your house? 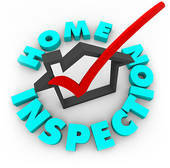 When you sell your house, and conduct a real estate inspection what should inspectors check on the HVAC systems? A heating ventilation and air conditioning (HVAC) home inspection reviews the heating and cooling system of a home from a performance perspective. 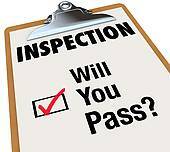 The inspection usually does not inspect or compare to codes or manufacturer requirements. Heating is provided typically by a forced air furnace distributed by duct work or a water/steam boiler using radiators or convectors, but space heaters, heat pumps and other methods are also in use. The energy source is usually natural gas, fuel oil, or electric, but other sources include wood and Geo-thermal. Cooling can be described as a split system, packaged unit, fan coil, heat pump, an evaporative cooler, or window/through-the-wall a/c unit. It is recommended that you use HVAC contractors to conduct “comprehensive” examinations of components and systems to determine whether they are working properly. When inspecting the HVAC home systems look for the following issues. FHA suggests that these issues may indicate unacceptable property condition. The home’s heating system must be in working condition and provide heat to all rooms in the property. If the property is heated by one or multiple heat stoves, the inspector will verify that these stoves can keep every room at a minimum temperature of 50 degrees Fahrenheit. 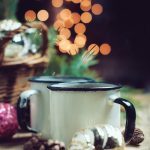 Wood stoves or furnaces must have chimneys that are in good condition, and wood stove chimneys must have chimney liners and be free of buildup. The Energy Star Web site has several HVAC checklists for different types of inspections that you may download or print. 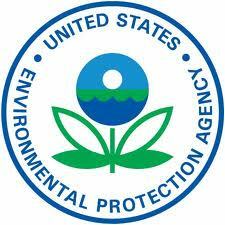 The EPA has begun phasing out the production of R-22 and has banned the production of HVAC equipment that uses R-22 in compliance with Title VI of the Clean Air Act. The refrigerant that replaces R-22 is R-410A. R-410A is an HFC refrigerant blend with common trade names such as GENETRON AZ-20®, SUVA 410A®, Forane® 410A, and Puron®. R-410A requires more pressure to cool, so therefore it requires new compressor and piping. Both the outside and inside unit must be replaced and current piping would need to be flushed with a special chemical. The use of R-410A, as opposed to R-22, does not affect the HVAC unit’s energy efficiency. The energy efficiency is determined by a system’s SEER (Seasonal Energy Efficiency Ratio). As of 2006, the minimum SEER rating allowed to be manufactured in the U.S. is a 13 which is 30% more efficient than a 10 rating. To receive the ENERGY STAR, a system must have a minimum 14 SEER rating. Currently, you can find a residential split-system with a SEER rating of 20 or more, but at a substantial cost over the standard SEER 13 units. 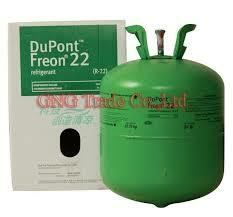 Systems with R-22 may find as the manufacturing of the product is reduced, the supply becoming difficult to find. “Also the price of R-22 is rising. Although the continued use of existing appliances with R-22 is not banned nor is the EPA mandating all R-22 equipment be converted, that is a factor that a homeowner should take into consideration when faced with repairing or replacing their system. More factors to take into consideration are the cost, energy efficiency, reliability, and performance. The life span of the outside condensing unit is usually around 15 years and the furnace around 20 years. Ambit Energy is a United States multilevel marketing retail electricity and natural gas provider that serves residential and commercial customers in states where energy has been deregulated. Corporate headquarters are located in Dallas, Texas, and operations/call center headquarters are located in Plano, Texas. 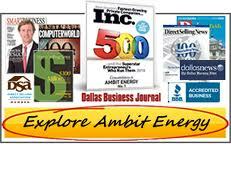 Ambit Energy was founded in 2006 in Addison, Texas by Jere Thompson Jr. and Chris Chambless. Electric and natural gas Customers throughout California, Connecticut, Illinois, Maryland, Massachusetts, New Jersey, New York, Pennsylvania, Texas and Washington, D.C. are choosing Ambit Energy as their choice in energy today. Ambit has grown to serve over 1 million Customers in only six years. And, it is said that those who make the switch often stay with Ambit for the signature perks they offer. They offer free energy when a customer refers 15 new Customers, or the customer may choose Travel Rewards for trips and cruises. They have created one of the most attractive Customer rewards programs in the industry. Once the customer signs up, they can begin the benefits of being an Ambit Energy Customer right away. Ambit also offers an app for convenience in the palm of the customer’s hand. Depending on service territory, customers can enjoy freedom to pay bills, view usage and update account details from any web-enabled device. Ambit Energy obtains customers through a network of independent consultants who work directly with the customers. 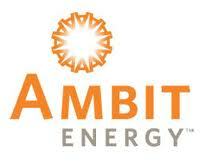 Ambit Energy uses direct selling and is a member of the Direct Selling Association of America. Direct selling is the marketing and selling of products directly to consumers away from a fixed retail location. • Ambit Energy was named 2010’s Fastest Growing Privately Held Company by Inc. 500 and placed 390 in 2011. • Ambit Energy placed 15th on the Direct Selling News Global 100 List in 2011 and 14th in 2012. 1. AEP Texas provides electricity to residents throughout southern and western Texas. 2. CenterPoint Energy provides electricity to the 5,000 square mile footprint of the Houston metropolitan area. 3. Oncor provides electricity to residents of northern, western and central Texas. 4. 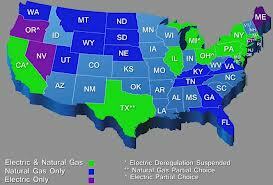 TNMP provides electricity for western and northern central Texas, as well as areas of the Gulf Coast region. Ambit has been criticized for its direct sales model, and for being a multi-level marketing company. In May 2011, Ambit was sued by a consultant, who alleged that Ambit’s structure is a pyramid scheme. By August 2012, after several amendments and alterations to the original complaints including the removal of all allegations of fraud, a judge dismissed the case. Ambit’s sales representatives have also been accused of overstating the benefits of participation, and of being overly aggressive in marketing to vulnerable customers such as the elderly, and non-English speakers, who might not fully understand the complexities of energy pricing. Eliminates the use of Freon and other environmentally damaging gases. Is a comprehensive solution to stop the continued use of these gases. Allows for design in climate control systems without costly compressors Has the potential for substantial energy savings. Can be designed to operate on solar generated power sources. Operates maintenance free well beyond the life cycle of conventional technology. Maintains constant temperature and does not cycle on and off. Uses a small solar cell sensitive to sunlight and uses the power grid only when necessary. Link to their Web page: http://www.coolsound.us/ Click the links on the left side of their screen to learn more about The Technology. The history of thermoacoustics is thought to have started 200 years ago with European glass blowers that noticed sound generated when a cold glass tube was placed next to a hot glass stem. The theory of thermoacoustics refrigeration was identified more recently when heat transfer phenomena was observed in a gas resonating in a cylinder. Ten years later, the use of oscillating fluid particles to induce a cooling effect resulted in the development of a “cyrocooler”. In the late ’80s, thermoacoustic research was pursued at the Naval Postgraduate School where a 5W Space Thermoacoustic Refrigerator, dubbed STAR, was developed and launched aboard the Space Shuttle Discovery (STS-42) in 1992. The Navy demonstrated the use of thermoacoustics and cooled off the electronics aboard the USS Deyo in 1995. More recently, interest in thermoacoustics has intensified, motivated by its relative mechanical simplicity, potential for broad integration into industrial and consumer applications and benign environmental impact. At present, only low temperature applications have been commercialized in niche markets. Thermoacoustic uses high-amplitude sound waves in a mixture of harmless gases to create oscillations in pressure, temperature and displacement, which are used to pump heat. These effects can be harnessed to produce powerful and efficient heat engines, including heat pumps and refrigerators. High amplitude sound waves are generated inside a specially-shaped cavity pressurized to several atmospheres. The resulting pressure fluctuations can be designed to occur hundreds or even thousands of times per second and can generate temperature differences. The temperature differences occur across a stack of plates which are positioned between hot and cold heat exchangers, where the heat is removed or added to a system. 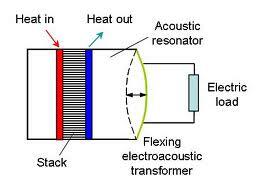 Acoustic waves oscillate an armature within a magnetic field and produce electricity. 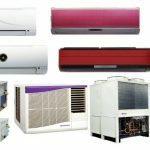 In heat pump applications, heat is forced to move against its natural tendency to flow from hot to cold, which consumes most of the energy in air-conditioners and refrigerators. Follow the links given and learn more about Thermoacoustics. Read what the experts are saying about the future of the HVAC industry. Here are some recent articles about the industry. Click the links to read the articles. The game is rapidly changing for every member of the HVAC world. From contractors and cleaners to architects and engineers, everybody is feeling the effects as the green business and building revolution gains momentum, the financial and economic situation grows ever more volatile, and new technological innovations send shockwaves throughout the industry. It seems the only thing we can be sure of is that the way things were done yesterday isn’t the way they will be done tomorrow. Trends would indicate that the HVAC industry is responding to a robust market and that the market is significantly influenced by a concern for energy and the environment. Advancements in technology are responding to those concerns. Do you remember the “Back to the Future” movies where Michael J. Fox jumped into a time-warping DeLorean sports car and sped into a future that was totally foreign? Can you imagine what an HVAC contractor from the 1990s would think if he were suddenly transported into 2012? He would find a foreign business world dealing with regional efficiency standards, R-410A refrigerant, dry-charged R-22 units, 25C tax credits, building performance standards, and home performance contracting. And if that were not scary enough, he would also be faced with the possibility of new legislation called the HOMES Act that would make him part of a RESNET Energy Smart Home Performance Team.